We hear about virtual reality’s amazing immersive future on a daily basis. VR is certain to be huge in personal entertainment, we’re told. Even skeptics admit it will find a home in gaming. But what about other uses? VR isn’t limited to entertainment and gaming, is it? Not at all. This article highlights three companies that are pushing VR video into exciting new territory. National brands are beginning to experiment with 360-degree and virtual reality ads. For a vacation company that already relies heavily on video, this makes perfect sense. Most people take only one vacation a year, so they want to ensure it’s one they’ll remember. 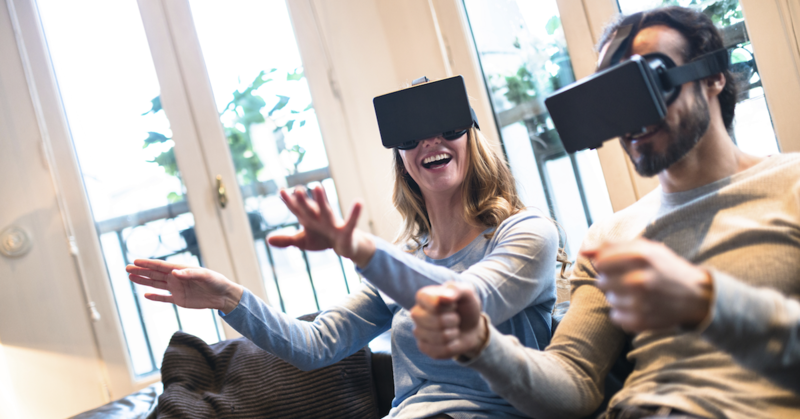 The current buzz around VR and its promise of providing a you-are-here feeling sounded like a fantastic opportunity to connect with consumers, explains Stephanie Leavitt-Esposito, director of social media and branded content at Carnival. “You can’t really sell a cruise in 140 characters, so when the opportunity to use 360-degree or VR video and distribute it on social platforms came about, we knew it was something we had to try,” Leavitt-Esposito says. Working with advertising agency Arnold Worldwide and Helios Productions, Carnival had a small production team shoot 360° video during a cruise on the Carnival Breeze ship. The production was kept small so paying guests were not inconvenienced. The project’s goal was to show people who hadn’t cruised before what they could expect from Carnival. The Carnival Breeze offers an optional helicopter excursion, so Carnival had the production team go airborne as well. That gave the company an excuse to include flashy aerial shots. After the shoot, Carnival’s team created a 2.5-minute interactive promotional video where people can move around the space, as well as a 3-minute traditional video. The interactive video includes a ship map that highlights different areas to explore, and fun facts presented with on-screen text. Carnival distributed the VR ad through Google Lightbox and Facebook. Viewers simply moved their phones around to explore the virtual spaces. While the company doesn’t have final numbers on the campaign, Leavitt-Esposito says they look good so far. Since this is a new area, Carnival doesn’t have specific expectations for the ad’s performance. The goal is simply to raise awareness of its vacations. Judging by what she’s seen so far, Leavitt-Esposito is sure Carnival will produce more VR videos. “Within the first few days, we saw so many people saying, ‘This is so cool!’ Tagging their friends, telling their friends, ‘Hey, check this out! This is what we should do on our vacation.’ We were really happy,” she says. VR isn’t just for play. It has real medical value as a way to reduce chronic pain. It’s surprising, but clinical trials have proved this. Putting that idea to work is the focus of a startup called DeepStream VR. Ari Hollander, DeepStream’s co-founder and CTO, learned about VR’s role in chronic pain reduction in the late 1990s when he was a graduate student at the University of Washington. He later worked at the university’s Human Interface Technology Laboratory (HIT Lab). Two psychology professors at the university—Dave Patterson and Tom Furness—were inspired by the work of neuroscientist Vilayanur Ramachandran in helping amputees overcome phantom limb pain: Ramachandran had a patient stand against a mirror with his face against the edge, then hold his arm up so that the reflection made it look like he had two arms. Seeing this somehow fooled the patient’s brain into thinking the missing arm was still there, relieving his pain. Patterson and Furness decided to see if VR could have the same effect. Hollander helped create applications that let viewers participate in virtual worlds, which were then tested with patients recovering from severe burns. 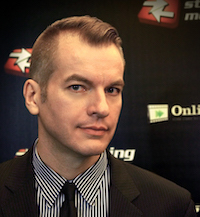 The results were encouraging enough that Hollander soon worked on a more immersive VR application. SnowWorld let users float on an icy river and throw snowballs at animated snowmen. More than a dozen studies were conducted with SnowWorld, testing its effectiveness in relieving pain.